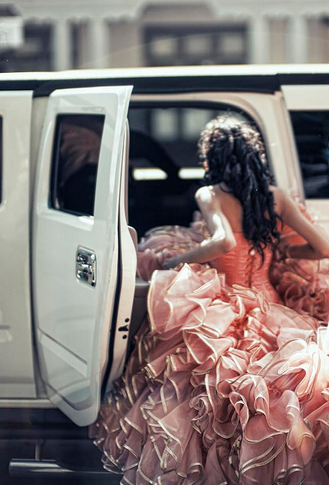 What better way to mark a young girl’s transition from childhood to young womanhood, then reserving a luxury limousine to transfer on her Quinceañera day. Whether a transfer to and from the church, reception venue or a day of luxury and elegance, Royal Carriages Limousine can help you celebrate your Quinceañera in luxury and comfort in Houston. There is nothing that makes the Quinceañera feel more special than riding in a chauffeured-driven luxury stretch limousine for her special day. We, at Royal Carriages Limousine, are here to help & choose from one of our late model stretch limousines, limo buses, Excursion limousine or more. Book a luxury vehicle for your special youngster’s Quinceanera today. For this reason, Royal Carriages Limousine is committed to making your Quinceañera limousine rental or other luxury vehicle choice as lovely as planned.